Investment in venues has seen Jersey's C&I business hold its own during the recession. Reputed to be the sunniest spot in the British Isles, Jersey has been weathering the dark clouds of the downturn remarkably well. The island's C&I business has remained steady at about 300 events this year, with associations making up the shortfall in the corporate sector. Meanwhile, total delegate numbers are up around five per cent on last year. Jersey Conference Bureau's general manager, Hamish Reid, says: "It is a challenging period but we offer a sufficient variety of venues and activities that can host a full range of events. The euro's exchange rate has also worked in our favour, with UK organisations that might previously have chosen the continent coming to us instead." 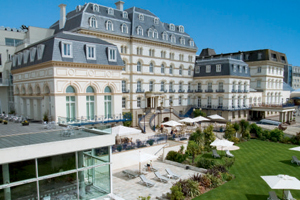 The island's hoteliers have taken the lead in ensuring Jersey's buoyancy, with millions of pounds invested in properties. The Pomme d'Or Hotel's main conference room, the 300-capacity Golden Apple Suite, has reopened following a £1m refurbishment. The Grand completed a £15m revamp last summer and recent arrivals such as the Radisson SAS Waterfront and Cardington House have boosted both the overall capacity and the diversity of Jersey's offering. "The four-star bed stock of Jersey has effectively been doubled in a very short space of time," says Reid. As such, there's confidence that Jersey is well-equipped to capitalise when the market recovers. John Vibert, sales and marketing director at the island's largest C&I property, Hotel de France, says: "Over the past few years, the conference bureau has pushed hard and the fact we have so much trade is testament to that. What's changed is the realisation of how much you can do, and the fact it is all within easy reach. I'm certainly optimistic. As the recovery comes, Jersey will be perceived as a very good destination."